Looking for ideas for large or small patio design? Explore Troy Rhone’s latest outdoor space design. 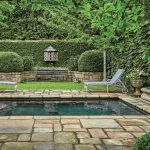 This garden design offers plenty of room for entertaining and allows the owners to live larger than its square footage would appear. Troy Rhone came up with a garden design plan that offers lots of room for cozy seating on the patio right amidst the natural surroundings. He created a careful and harmonious flow between the inside living areas and the outside gardens. 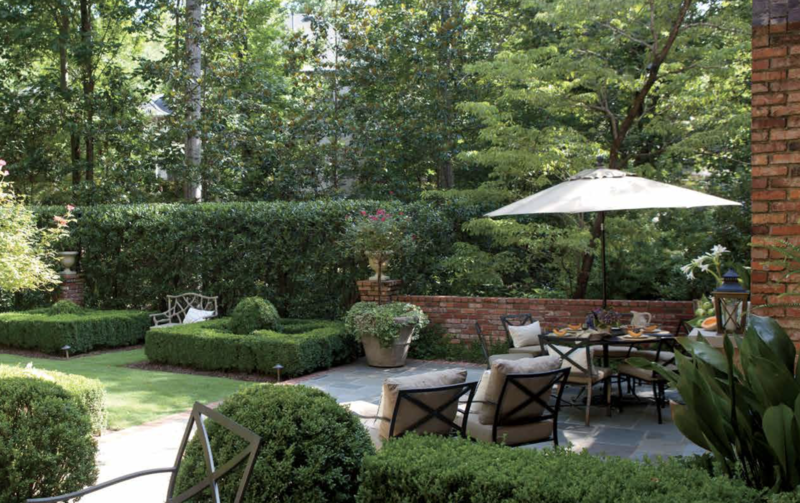 He exterior garden design echoes the clean lines of the interior of the house — crafting a simple but polished layout. 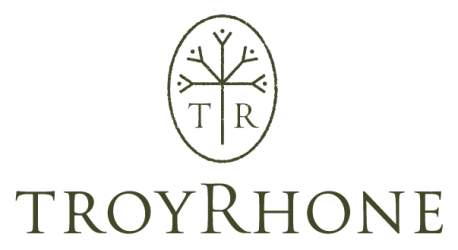 For his choice of plants, Troy went with Mary Nell holly, creeping figs, ivy, hardy macho ferns, and low-maintenance boxwoods. 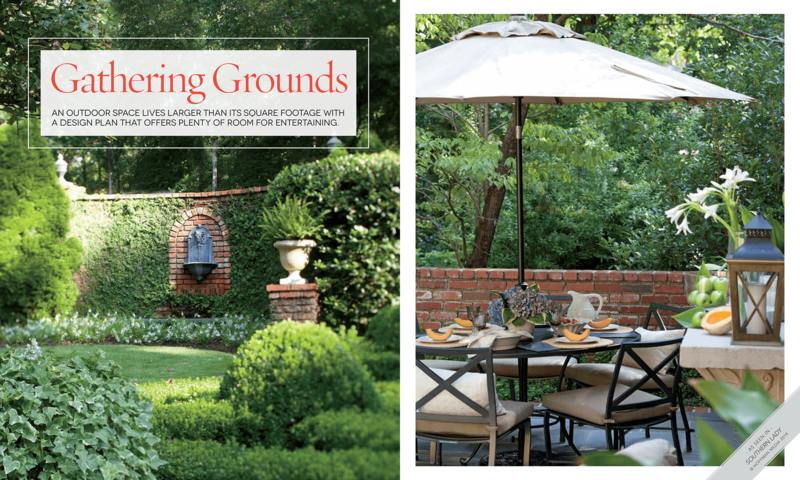 The bi-level patios, red brick, and enchanting fountains add visual interest to this intimate patio. 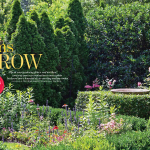 When this homeowner wanted to carve out entertaining space in her mostly wooded backyard — she called on Garden Designer Troy Rhone to create a plan. 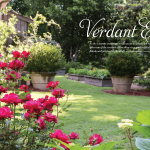 The natural Alabama setting also provides privacy for the garden. Troy divided the garden into a series of patios with multiple seating and dining abodes. This works beautifully for larger cocktail parties or small family dinners. Check out the full article “Gathering Grounds” published by Southern Lady 2018 to see details and additional photos of this small patios design.